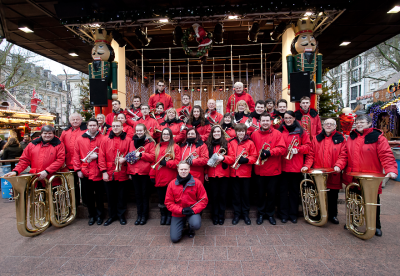 The band's repertoire is wide and each performance is tailored to meet the requirements of concert organisers. Equipped with indoor and outdoor scarlet and black uniforms, the band looks smart on all occasions and can bring a traditional northern atmosphere to your event. The cost of engaging the band is always most reasonable. All fees go towards the equipment and running costs of our self supporting organisation.